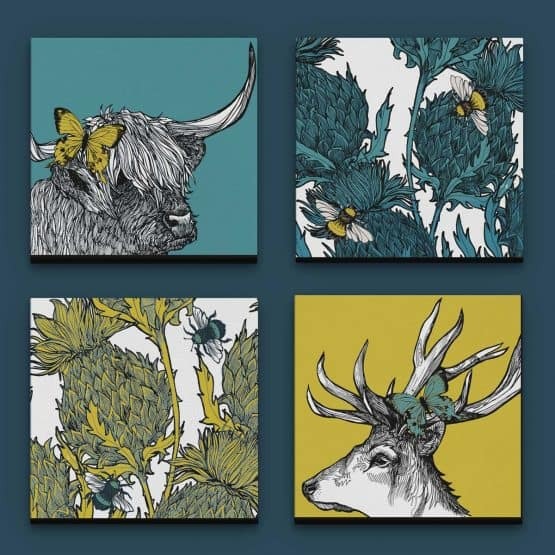 A beautiful collection of 4 striking Gillian Kyle stretched canvas prints. This colourful set of Scottish wildlife canvas prints features a highland cow and a majestic stag with thistles, butterflies and bees. These lovely canvas artworks come ready to hang and are perfect for brightening up wee unloved nooks and crannies anywhere in your home. 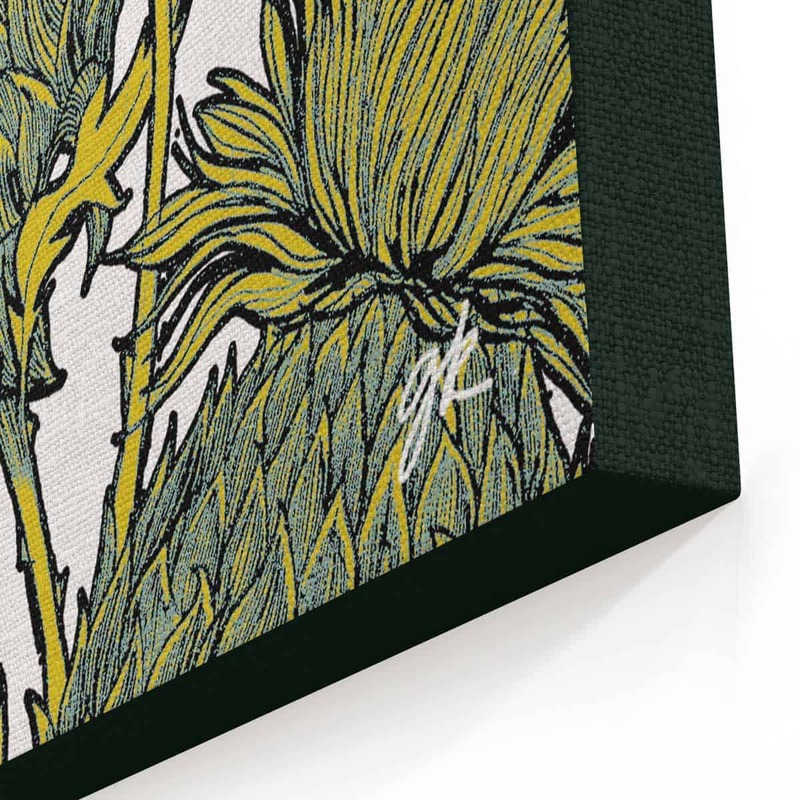 Or if you’re looking for other thistle-related gifts, why not check out the rest of our new ‘Flower of Scotland’ range here. 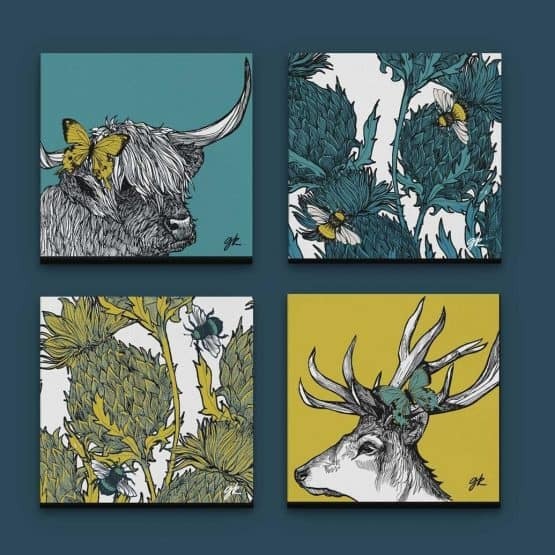 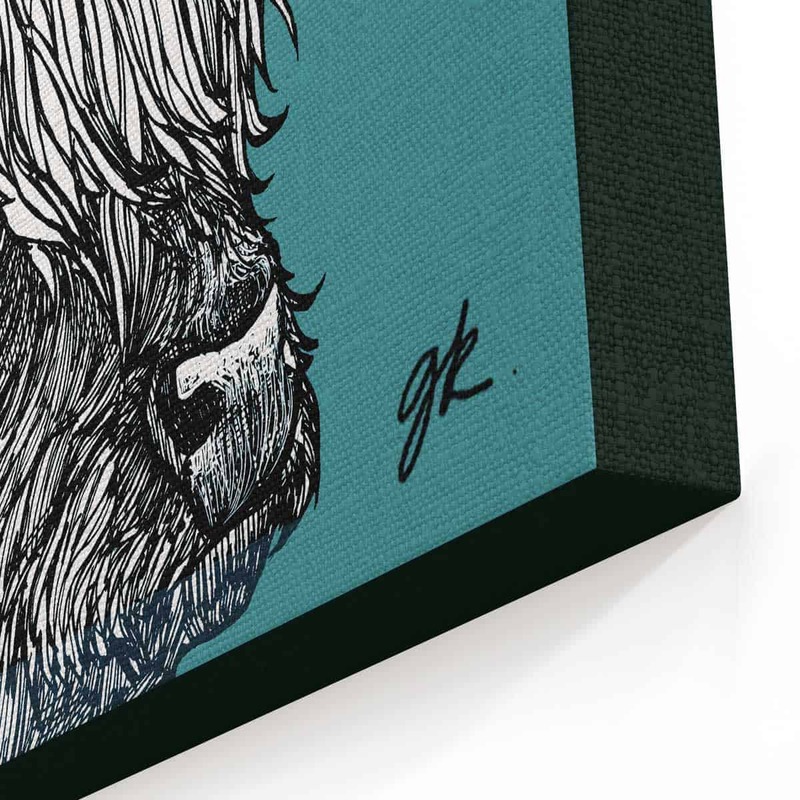 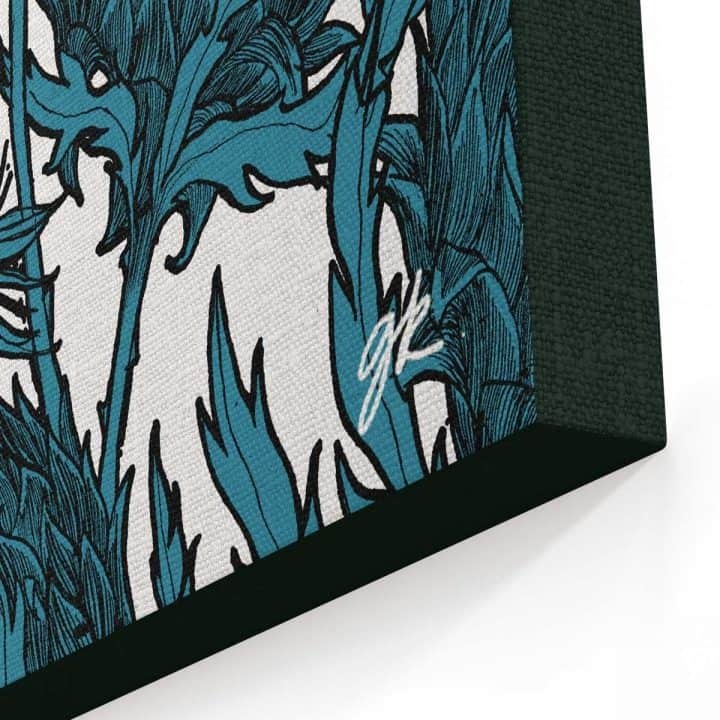 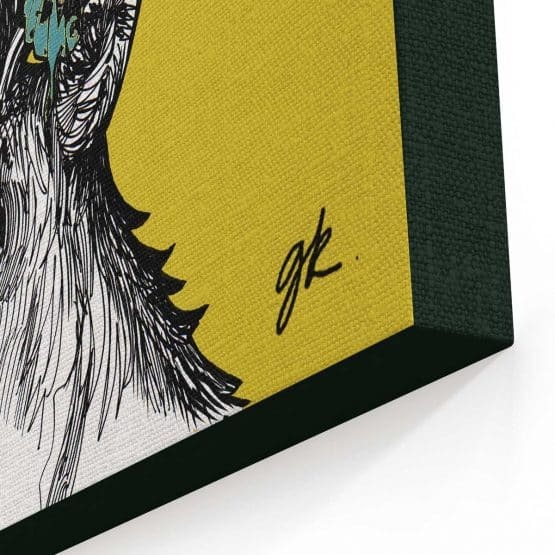 Lovingly illustrated, impeccably made and finished: Gillian Kyle canvas prints are handmade to order and are available in 4 portraits and 5 square sizes.